The Jacksonville Jaguars promote responsible drinking and positive fan behavior at EverBank Field. The Jaguars’ alcohol management plan ensures that fans have a safe and fun experience. Event patrons and season ticket members are responsible for their conduct as well as the conduct of their guests and/or persons occupying their seats. Stadium staff will promptly intervene to support an environment where event patrons, their guests, and other fans can enjoy the event free from the above behaviour. While standing and cheering is permitted, please keep in mind that continued standing can interfere with others’ ability to enjoy the game from their seats. To be courteous to all guests in attendance, we ask fans to stand and cheer with the flow of the game. Event patrons and guests who violate these provisions will be subject to ejection without refund and potential loss of season ticket privileges or other privileges for future games. The Jaguars and EverBank Field thank you for adhering to the Fan Code of Conduct. The Jacksonville Jaguars and EverBank Field want to help create a safe and fun environment for you to enjoy your Jaguars football games. If you notice any behavior that is rowdy, disruptive, illegal in nature or breaks the Jaguars Fan Code of Conduct, please text ASSIST followed by the location and a brief description of the issue to 58154*Message and data rates may apply. Our Guest Services Team will do their best to assist any fan in need. Text messages can also be sent from the parking lots beginning two hours prior to kick-off and continuing one hour post-game. The Jacksonville Jaguars and EverBank Field want to help create a safe and fun environment for you to enjoy your Jaguars football games. If you notice any behavior that is rowdy, disruptive, illegal in nature or breaks the Jaguars Fan Code of Conduct, please follow the instructions below. Our Guest Services Team will do their best to assist any fan in need. Text messages can also be sent from the parking lots beginning two hours prior to kick-off and continuing one hour post-game. Fans 21 years of age or older with a valid driver’s license can sign a pledge to be a designated driver at any Guest Services Booth. In appreciation of their commitment to getting their friends home safely, all designated drivers who sign up will be entered into a drawing to win a Bud Light prize package. Registration must be completed by the start of the third quarter. The drawing will occur and be announced in the fourth quarter. Each designated driver will receive a voucher for a free non-alcoholic brew, redeemable at all permanent concession stands. 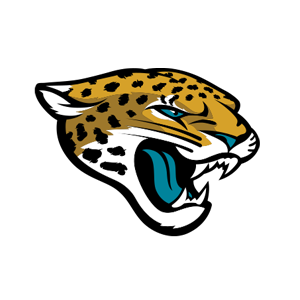 For the 2016 NFL season, the Jacksonville Jaguars are facing off against the Indianapolis Colts in the Bud Light Good Sport Designated Driver Challenge. Jaguars fans who pledge to be designated drivers at EverBank Field earn the Jaguars a touchdown (6 points) in the Challenge. Jaguars fans who “Like” the Jaguars Designated Driver Challenge Facebook page earn the Jaguars an extra point in the Challenge. Please make the pledge to be a responsible Jaguars fan and help the Jaguars win the Challenge!